Turn hours of labor into minutes! Allow the workers you pay to do their work faster. 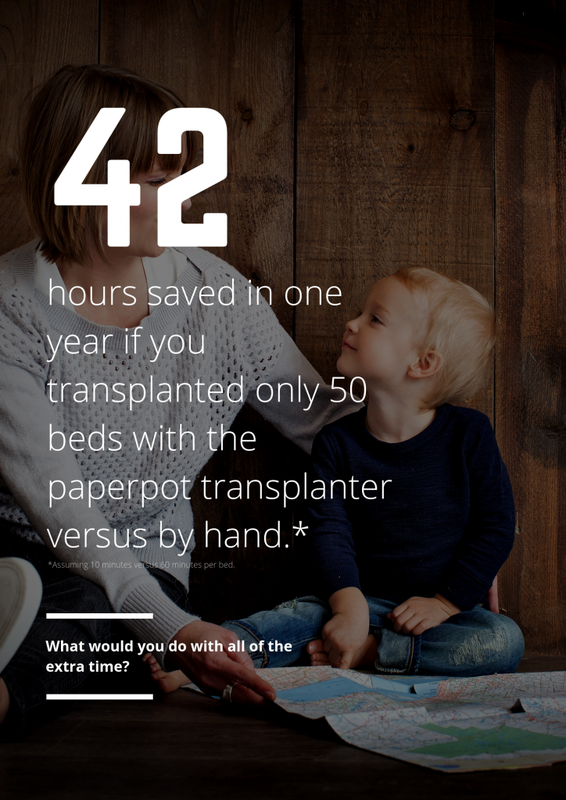 The paperpot transplanter allows a single person to transplant 264 plants covering over 85ft in just minutes. What used to take hours, now takes minutes. Allowing you to spend less time transplanting crops, and more time doing other things like farm improvements, marketing, sales, or just taking some time off. 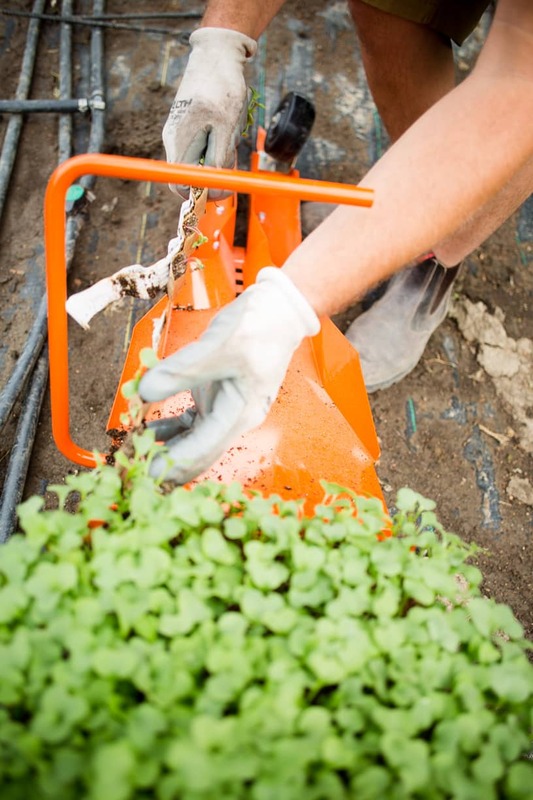 Forget spending hours bending over a bed transplanting plugs one by one. That’s an inefficient waste of time which puts a lot of wear and tear on your body week after week season after season. Transplant those same seedlings standing vertically walking down the bed with the paperpot transplanter. Your back will thank you. 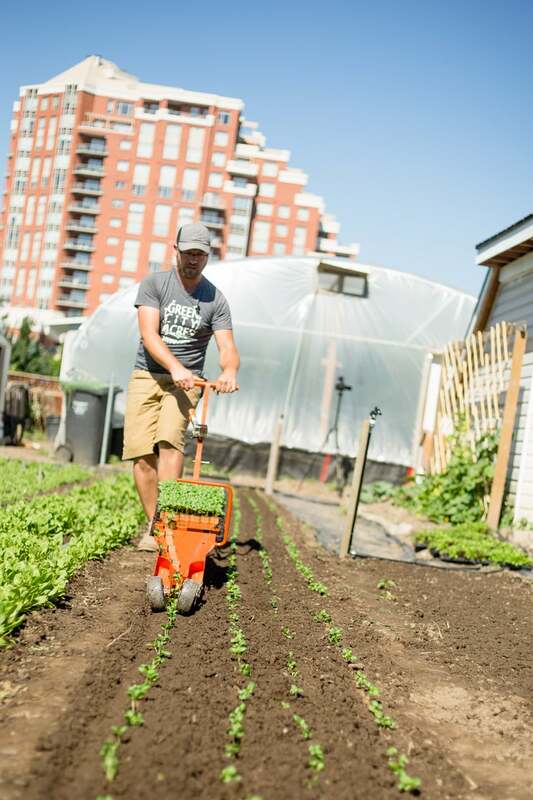 The paperpot transplanter can be used on a variety of crops from salad greens to onions to radishes to peas and beans. Additionally the trays can be used for microgreen production giving you a much sturdier and long lasting tray than conventional, flimsy 10/20 nursery flats. Get transplants into the ground and watered exponentially faster cutting down heat stress and transplant shock. Time is one resource that farmers all wish they had more of. It’s possible to get some back. All HI, AK, Canada, and other non-U.S. orders are quoted for shipping individually based on the exact location. What crops can the paperpot transplanter be used for? 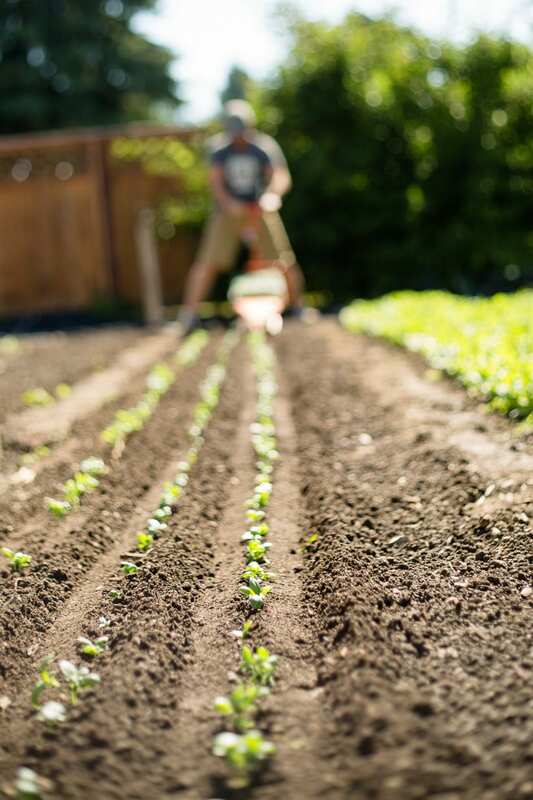 Carrots, beets, turnips, kohlrabi, basil, cilantro, lettuce, spinach, arugula, beans, peas, kale, sunflowers, and other cut flowers are just some of the types of crops you can grow with the paperpot transplanter. 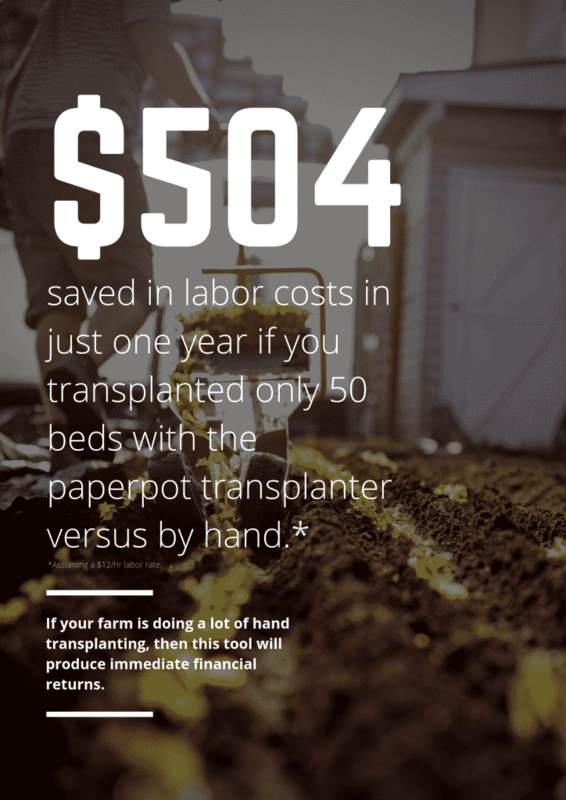 For a market gardener, there are probably more crops that you CAN use the paperpot transplanter for than crops you CAN’T. The main crops which won’t work in a paperpot system are crops like tomatoes, peppers, squash, and melons. How long are the paper chain pots? We sell three types of paper chain pots. Each chain pot has 264 cells, but the spacing of those cells varies between the model of chain pot. Spacings are 2″, 4″ and 6″. The total length of those unraveled chains are 49.5′, 93′ and 139′ respectively. Can the paper chain pots be used on Certified Organic Farms? It depends. Check with your certifying body to see if they will allow you to use paperchain pots on your farm. However, the product is accepted for use on Certified Naturally Grown farms. What happens to the paper chain pots in the field? Do they breakdown? Yes, over time. How much time, it depends. Variables like weather, soil life, and temperature will affect decomposition time, but a good estimate is it will take at least 6 months for the paper chains to break down in the field. It would be rare for a paper chain to completely break down in a short-term crops lifespan. Some growers, growing your standard market garden type crops (root vegetables, greens, herbs), end up removing the paper chain pots when they turn over a bed. At that time the paper chain pots can be composted with the left over vegetable matter or discarded. Will the paperpot transplanter work in heavy clay soil? I am 100% confident that the transplanter will work in all managed farm soils if the farmer is trying to actively trying to make it work. 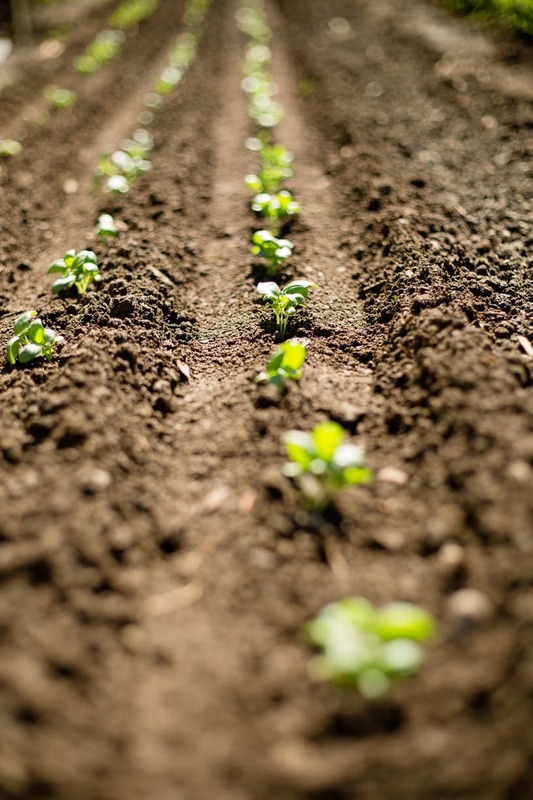 Like most tools you have to have the right conditions for success and that usually means some tilth to the soil. How you accomplish that can vary from tillage to amending the soil to letting soils dry out. It’s going take some work and trial and error to figure out the best way to prep soils given your conditions. Are you going to be able to go up to tight soil that breaks in big clods and use the unit? Probably not, but I don’t know many small farms who do anything in that type of soil to begin with. Yes, payment plans are available from Square Capital. Learn more HERE.